The main role of the Research Repository is to promote research outputs and publications produced by RMIT University staff and higher degree by research (HDR) candidates. The full-text of these research outputs are made freely available where possible, thereby maximising usage and citation impact. 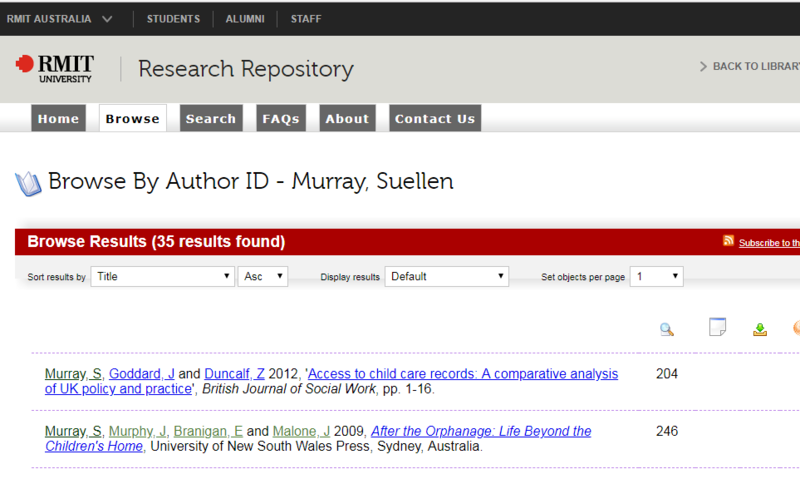 The Repository facilitates collaboration between researchers by making publications easier to access. Citations in the Repository are easily harvested by major search engines such as Google, making them easy to find in Google Scholar, increasing your impact and citation rate.